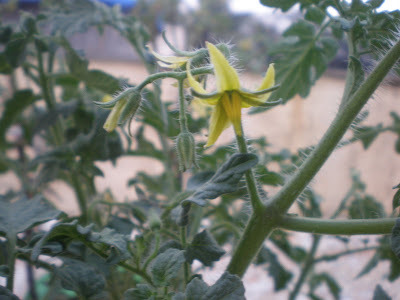 You have to be really patient for growing toms; I read on a site that after a flower has bloomed and been pollinated, it takes roughly 1-2 months for harvesting a ripe tomato. I have generally at least one type of tomato growing in my garden at any time. Right now I have orange cherry tomato and a normal sized hybrid tomato specific for growing in container- Tumbler tomato. All the plants are in flowering and fruiting stage. Yippee, RIPE and you just cannot stop from plucking and eating off the plant. This is probably the Tumbler tomato. I think I have mixed up the seedlings. I had grown the 'Tumbler tomato' last year and the fruit was definitely different in shape. 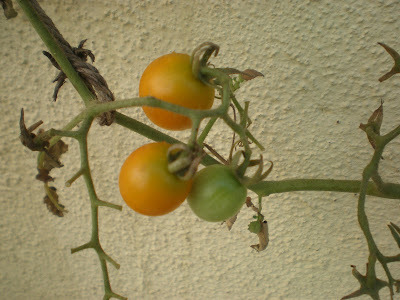 And they are taking very long to ripen. I found that some of the fruit is split from the blossom end. It is probably due to a deficiency in the soil which I will have to look into. I don't want to lose my harvest :(. 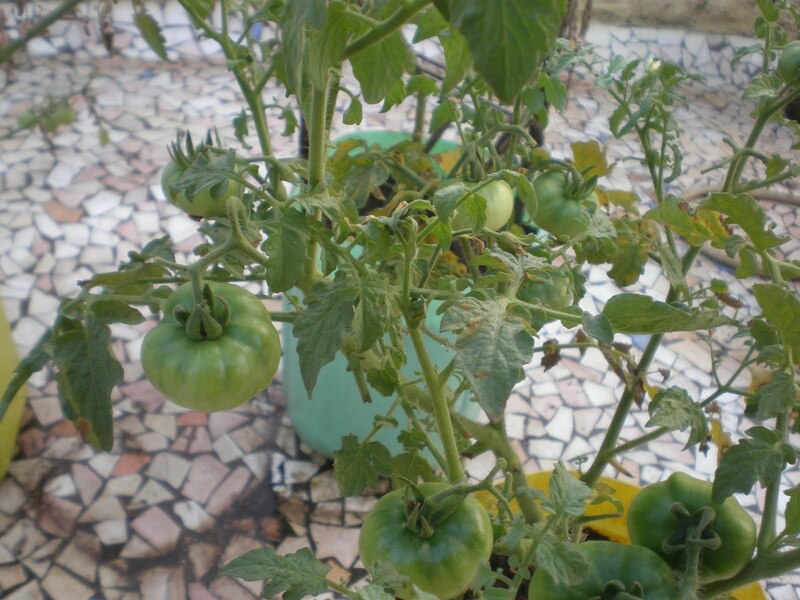 One action I need to take is to plant beneficial companion plants in my tomato containers for eg mint, garlic and onions. 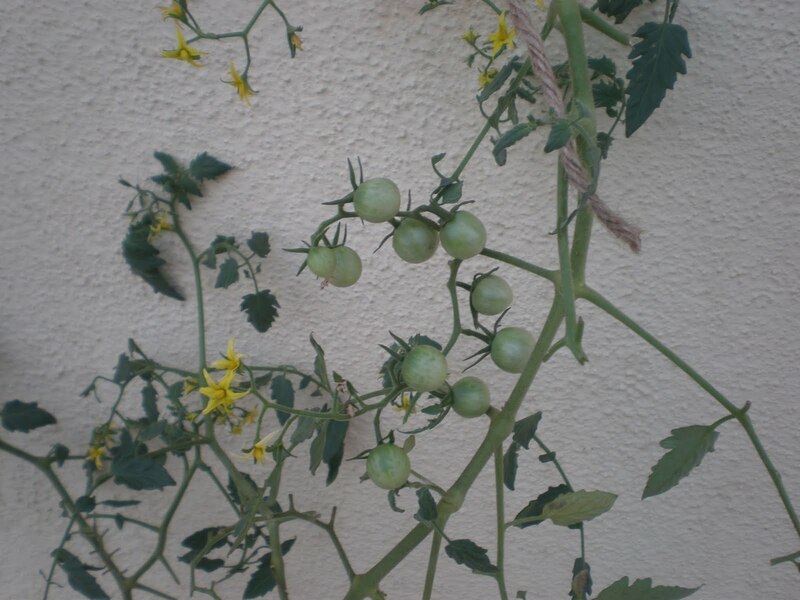 These have been reported to repel pests and also alter the flavor of the harvest. An added advantage will be the fresh herbs that I can use in my cooking.